What made the experience of listening to The Signature of All Things the most enjoyable? Juliet Stevenson's vocal performance, as ever, is impeccable. She really brings the narrative and the characters to life. 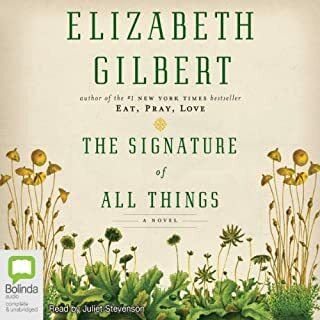 This is an ambitious work about a self-taught woman who is a botanist, a great rational thinker (for the most part) and scientist. The story covers the totality of her life, her thoughts, her career, and her existence at a time when being an independent woman was normally not possible, or acceptable, to society of the time. Ultimately the story is a little sad, but thoroughly enjoyable. Good story, well-performed. But dreadful music. 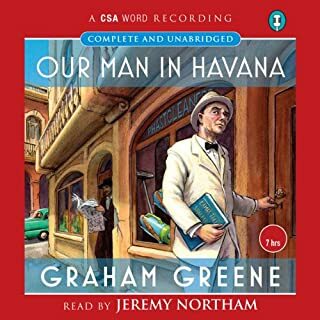 It's difficult to fault Graham Greene's story and it's performance by Jeremy Northam, which I thoroughly enjoyed. However, at regular intervals: at chapter ends; at breaks in a chapter; changes of country location, incidental music has been added. It quickly becomes quite irritating and, certainly for me, spoils the flow of the narrative. It's also the same piece of music again and again to depict Cuba and another piece for the UK, it's awful. Ambitious story, but not for one book. What did you like best about Barkskins? What did you like least? This story covers a period of about four hundred years, starting in the 16th century and finishing pretty much in the present day. It starts with two men arriving in North America as indentured workers for the same man. It follows both these men and their many descendents during the following centuries. In a way it is a story of slow and inevitable decline on the one hand and the naked exploitation of what is considered to be the infinite resources of the environment to build a business empire on the other. In essence one set of descendents become rich and the other essentially become increasingly impoverished and excluded. There is a strong and compelling ecological narrative throughout the story which rings through to this very day. The problem for me is that there are so many characters and so many relations that keeping track of, and staying interested in, two family dynasties is difficult. When introduced to a new member of one of the family dynasties you may be seeing them as young initially and then you may not see them again until there are in their final years. Their lives described in between of apparently little significance or interest. That makes it difficult for a reader to engage with the characters. This is a story that could easily have been expanded out to two or three books. The jumping around from character to character and in time make for difficult reading and it also makes it difficult to really care about and be absorbed by the characters. 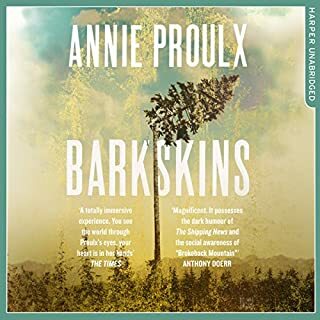 I also felt a little that by the end of the book it was getting more difficult to create distinct characters and their part of the overall story became increasingly like not much more than vignettes of peoples lives. There is no doubt about it, this a book with enormous ambition, but unfortunately it's not for me. 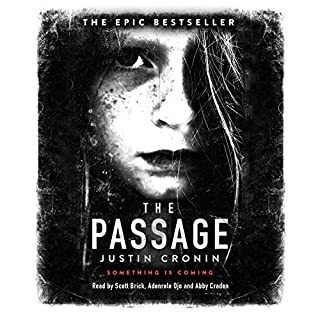 Wonderful story and wonderfully narrated. 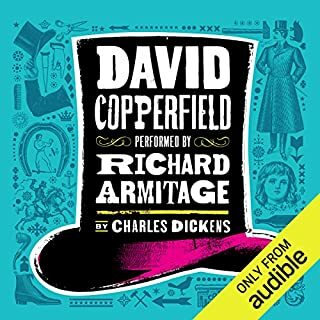 Would you consider the audio edition of David Copperfield [Audible] to be better than the print version? So many of Charles Dickens' books are so well known simply by their titles that I often feel that I've already the books. Much so with David Copperfield, being one of Dickens very known books, I had never read it before and didn't know anything about the story. What can I say about the story? Well, it's Charles Dickens isn't it? And it is the work of a master at the top of his writing powers. Wonderful book full of 'characters' and their narratives that intertwine around David Copperfield. Dickens picks up story threads, adds them to the plot, then lets them go only to pick them up again later. No character, however seemingly small their role is, is forgotten; they all have their part to play throughout the story. Richard Armitage's narration is exemplary. He has produced distinct voices for all the characters which brings Dickens' narrative fully to life, I can't fault it at all. Although the story is very long, it is so richly told by Dickens and by Richard Armitage I could have listened for hours more. This is story telling at its best. This is a story which starts quite slowly - even the narration seems a little slow to start with. But the story draws you in and it becomes increasingly absorbing. The change in the chronology is a necessary part of the narrative. You might be tempted to give up here, but if stay with it, you will find the book pays you back. Really enjoyed it. Whilst the story itself is not uninteresting, all the events unfold so slowly and with such lengthy narrative that I found myself continually saying from frustration: "Get on with it!" In the end I found I had little sympathy, or indeed any patience for Theo, the main character. 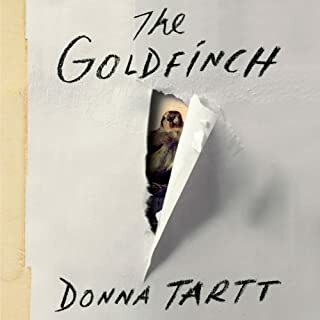 I don't mind a long story, but what felt like the endless narrative took away from the plot and by about half way through it wasn't difficult to determine where the plot was leading. Would you listen to another book narrated by David Pittu? The secondary characters and their stories are well created and interesting. Unfortunately they weren't enough though.